At Saber Foundation Repair, we provide quality interior slab leveling with PolyLevel®. PolyLevel® is a non-invasive technique that can raise your floor back to its original position and provide a long lasting solution. Call us today at 1-877-203-4601 or click below to learn more! We offer free estimates on all our work in Los Angeles, Long Beach, San Diego and throughout the nearby areas. If you have issues with an unlevel floor or sunken interior concrete slab in your home, call the experts at Saber Foundation Repair today for a quality solution. We can provide a non-invasive, fast, and effective repair with PolyLevel®. Call us today at 1-877-203-4601 or contact us online to learn more about how PolyLevel® can make the difference for your home. 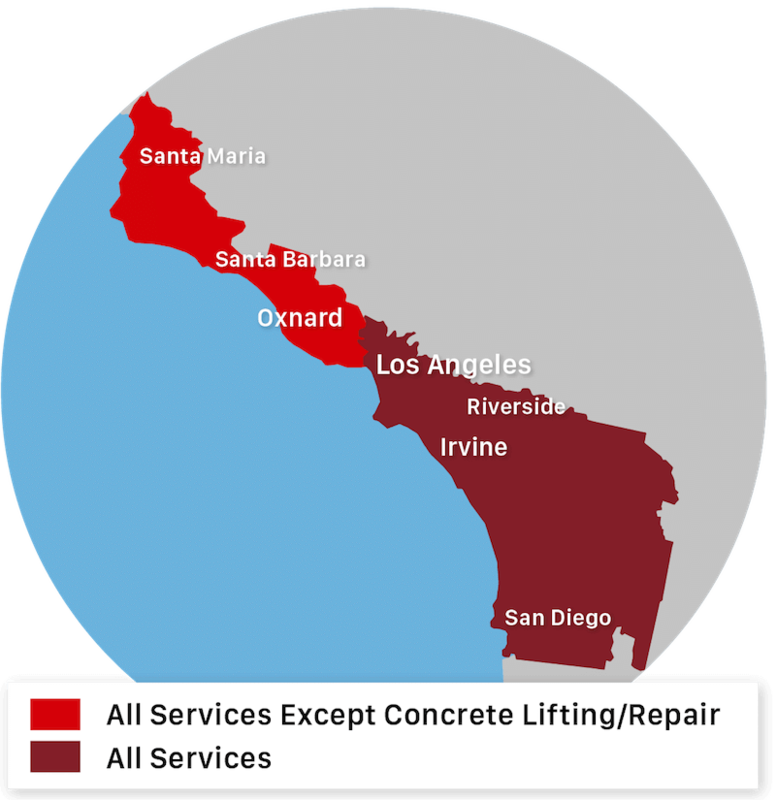 We offer free estimates on all our concrete lifting services in Los Angeles, Long Beach, San Diego, Santa Ana, Anaheim, Irvine, Glendale, Chula Vista, Huntington Beach, Oxnard and throughout the surrounding areas.